Thankfully my week has included a lot more than red tape since it was orientation week for international students. I didn’t get the chance to participate in all of the events, but I did take part in a group competition called 63 Degrees North. Most of it involved silly games such as a three legged race, relay race, and spelling Norwegian vowels using your body, but it also involved answering trivia questions on Norway. While I was able to answer some of the very basic questions I was blown away by how much knowledge some of my teammates had about Norway (knowing the exact date Norwegian women achieved suffrage was one of them). 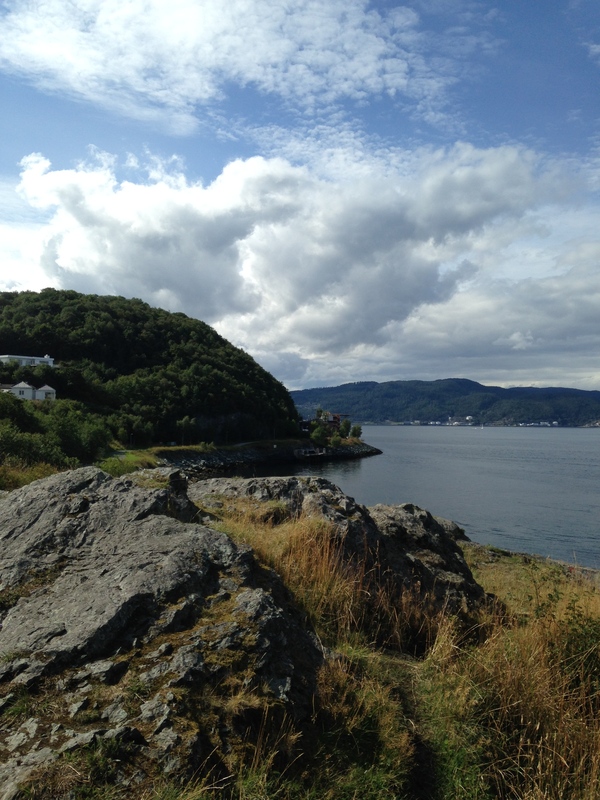 My other favorite activity was hiking along the fjord. Yes, this is the backdrop of my new home. Some other highlights include meeting new people! Not only am I starting to meet other students, but I also got to meet Nancy, the professor I work with at NTNU. It was great finally getting to put a face to a name and to talk about the courses that I’ll be helping her teach. As of right now, I’m only going to be helping her with classes in the fall (her spring classes tend to be in Norwegian) and we hope that I’ll get to help with a writing center in the spring. For now, the classes that I’m helping with are called Communication for Engineers and Academic Writing, and I’ll write a bit more about them once they actually start. The other person that I got to meet this week was Alix, currently the only other Fulbrighter in Trondheim. 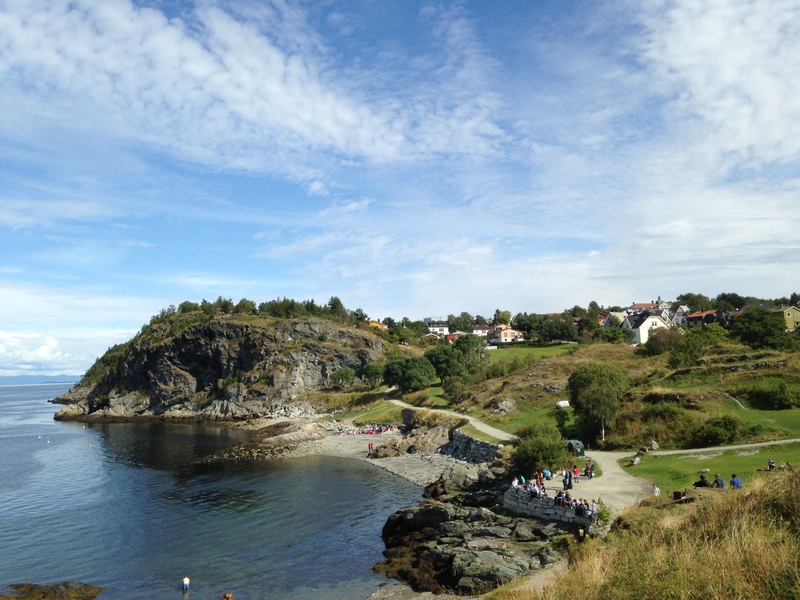 Alix is here doing research at NTNU and it was great getting to meet her and explore the downtown area together. 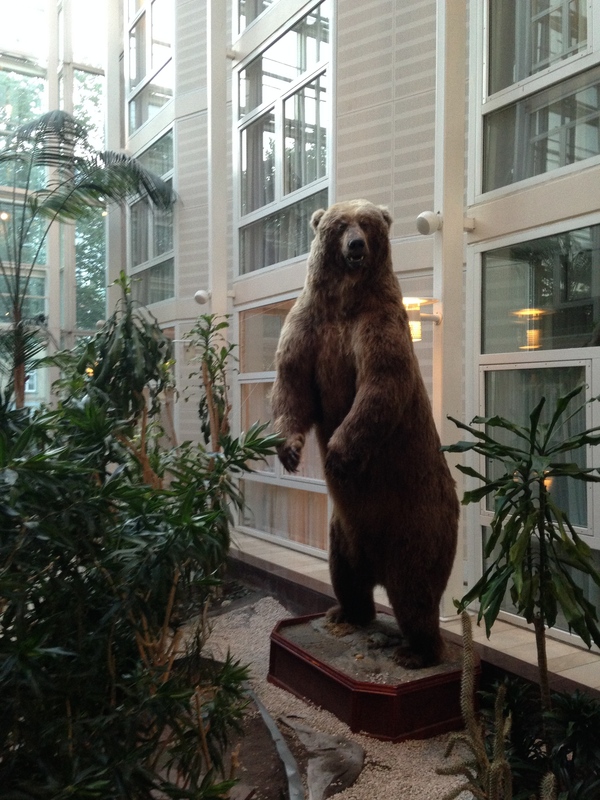 I think the highlight was showing her a stuffed bear that I managed to find in Sentrum.